Who I Am plays on the old adage- the grass is always greener on the other side. It is a claustrophobic, character driven, psychological thriller involving sensitive issues, such as alcoholism, anxiety and depression, underscoring their far reaching consequences. It also reflects on how our past, can and will always stalk the conscience. With, greed, resentment, resolve and retribution flowing freely throughout the plot, it is then told through the eyes of two contrarily strong female protagonists. The first protagonist grows up amongst the grimiest of streets on an Edinburgh council homed street. Born to alcoholic parents she hates her life, more than her life hates her, her roots make her curl and cringe, she desperately seeks change. More than change, she desires the high life. There is nothing she is unwilling to manipulate and execute to achieve this. The second protagonist is the daughter of affluence and propriety. On paper, she has it all. Loved dearly by her family. With opportunities and means in abundance and guidance tumbling out of her pockets. But she longs for self-determination, spontaneity, independence and a life void of expectations. feeling suffocated and discreetly self-conscious by her family’s obvious wealth. The chapter’s flow between the two disparate perspectives, roaming between two time periods, Edinburgh in 1999 and 2017, and Cornwall in 2017. The relationship develops during the university days and at the same time we are shown their present lives as they both clamber towards the 40th birthday milestone. When the lies, betrayals, jealousy and deceit start creeping through the cracks. Wow,now this is my favourite type of thriller,compelling,intricately plotted,unreliable characters and unexpected twists and turns. A page turner that keeps you guessing and frantically turning the pages,wanting to know all the characters secrets but simultaneously not wanting the story to end. This is the story of two women from totally different social standings,Andi who was loved and adored by her rich parents and never had to struggle for anything and Camilla who felt neglected by her parents who were poor,alcoholics. Andi and Camilla met when they were at University and struck up an unlikely friendship,becoming very close quite quickly and sharing Andi`s flat with two other girls Jo and Clara. They were young and had their whole lives ahead of them. But fate had other plans for them and one night after a graduation party in Cornwall,two of the girls went missing,presumed drowned and swept out to sea. Years later Andi lives in Cornwall with her husband Kyle and their two young children. Camilla lives in Edinburgh,is single and is the joint owner of a restaurant. Despite being almost two decades later,both women are still haunted by events from the past. More than one character is not who they appear to be,secrets never stay buried forever. More than one person feels they have been betrayed and want revenge but who and why? The chapters alternate between Andi and Camilla and flip back and forth between 1999,2000 and 2017. It’s a twisted tale of revenge,deception,manipulation,jealousy,friendships,love and discovering that very often the grass isn’t always greener on the other side. Sometimes you should really appreciate what you already have. The characters were all vivid,well rounded and realistic,some likeable,some not so. I really loved Kyle,it made a refreshing change to read a book featuring a male character who wasn’t the usual stereotypical cheat and abusive bully. There was some chapters that were voiced by some secondary characters including Kyle and Eve who we met in Sarah Simpson’s previous thriller Her Greatest Mistake. This book is set six months after the shocking conclusion in Her Greatest Mistake,Eve is back at work and her son Andy is preparing to sit his GCSE`s. Both trying to move on but still affected by events from the past. This is a mesmerising,enthralling psychological thriller. You really have to concentrate while you read this story due to the constant flipping back and forth in time. The chapters are clearly marked with the year that chapter is set in and which character that chapter is about.Sarah Simpson’s words flow with ease,captivating the reader and drawing you into her characters fictional worlds.Amazing book,worth far more than five stars and highly recommended by little old me. There sits – only loneliness and tormented strife. They only grasp a life of spirit and dreams. 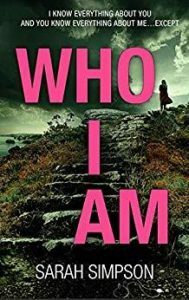 Who I Am is a psychological thriller involving sensitive issues, such as alcoholism, underscoring it’s far reaching consequences. Reflecting, how done deeds whether pronounced or not, will always stalk the conscience. Greed, resentment, resolve and retribution. The story is told through the eyes of two contrarily strong female protagonists. Camilla, is nineteen, living amongst the grimiest of streets on an Edinburgh council homed street. Born to alcoholic parents, she dragged herself into the formative teenage years. Camilla hates her life, more than her life hates her, her roots make her curl and cringe, she desperately seeks change. More than change, she desires the high life. There is nothing she is unwilling to manipulate and execute to achieve this. Andi, is also nineteen and is the daughter of affluence and propriety. On paper, she has it all. Loved dearly by her family. With opportunities and means in abundance, and guidance tumbling out of her pockets. But Andi longs for self-determination, spontaneity, independence and a life void of expectations. According to Andi, the two first meet by chance, towards the end of the second year at Edinburgh University. Although, Camilla would contend, chance is merely an illusion for those that can afford it, so she forced the hand of their encounter. Andi was more of a disposed sitting target as she falls for the woeful tales carefully spun by Camilla. The chapter’s flow between the two disparate perspectives, roaming between two time periods, Edinburgh in 1999 and 2017, and Cornwall in 2017. The relationship develops during the university days, and at the same time we gain access to their lives as they both clamber towards the 40th birthday milestone. Camilla, is overseeing her bistro in Edinburgh, her life clearly has seeping holes. 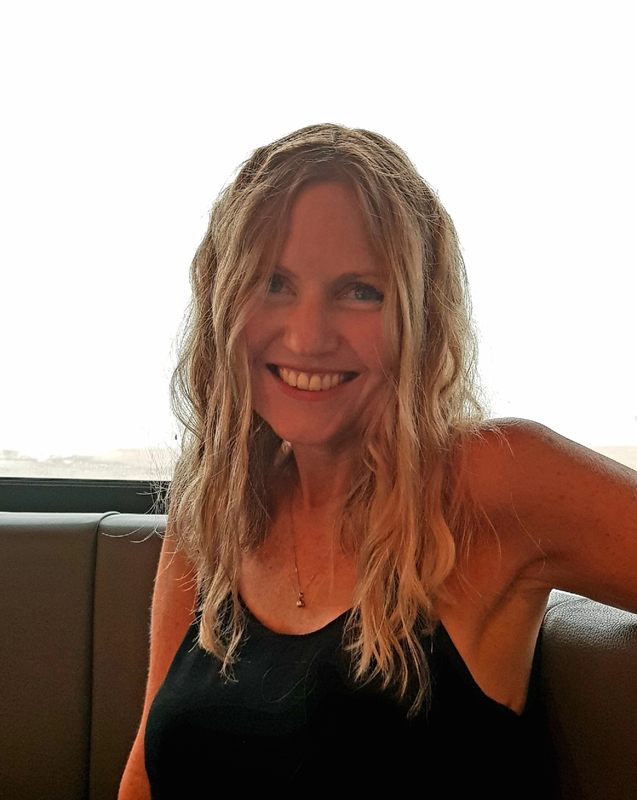 Andi, is a features writer in Cornwall, married to a successful suiter, with two children. But something is troubling her, as she senses the shadow of her past creeping around her, she increasingly seeks solace from a bottle, despite the awkward consequences. Her marriage becomes strained, even her children begin to whisper, her best friend begins to wonder. The story builds between the two once close, now distant friends. Slowly, again Camilla crawls closer and closer into the life of Andi, as Andi battles with alcoholism and consequential paranoia. Wondering if the intensifying twists and turns of her fragile life are victims of her imagination or linked to something more sinister. Caught in the web of deceit, unable to share what she clutches deep in her subconscious. Unable to share the shocking truthful events of the night at the graduation party. Multiple layers of lies, threaten devastating ramifications for her family and her career. She doesn’t even know who she is anymore.